I’ve always liked the Spencer Davis Group. I mean, really who doesn’t? They were a cool band. This set features a cross section of music from across the career. As such it includes a number of varied musical lineups. It’s all good stuff, though. The rhythm section kicks this off with a lot of energy. Then they take it into the soulful pop groove of the tune from there. A lot of times here I’m reminded of early Rolling Stones. Organ starts things off here. Then we get a soulful jam with a lot of pscyhedelia in the mix. The guitar solo seems like something we might have heard from The Allman Brothers. There’s a killer organ solo after that. Here we get a pretty straight ahead jam. This is basic 1960s rock and roll. We get organ at the start of this one. It’s more of an interesting tune in terms of progression and delivery. It’s quite a cool number. It’s got a lot of psychedelia built into it and even some prog rock. An organ solo section that closes the disc seems to channel Deep Purple. This smoking hot tune is magic. This song by itself makes this set worth having. I’ve always loved this version. It’s got a lot of Steppenwolf in the mix along with plenty of classic soulful rock and roll. Very much a psychedelic rocker, this one is alright, but not really all that special. Here we get another classic tune. It’s got that great Spencer Davis soulful groove and still rocks like crazy. This is really a classic version. The sound on this is more modern. It makes me think of some of Klaatu’s more pop oriented stuff, but with a definite Spencer Davis soulful groove at its heart. It’s not that far removed from some of Steve Miller’s music, either. This one has more of a dated, psychedelic sound. It’s not bad, but not all that special either. Here we get a tune with more of a stripped back old time rock and roll vibe to it. It’s a cool one and provides some definite variety here. The organ that opens this makes me think of Deep Purple’s “Lazy.” From there, though it works to a more pop rock sound. This is another that’s not bad, but doesn’t really stand up amongst so much great music. It’s got a definite psychedelic edge to it. With an announcer introduction, this rocker is fun. Bouncy and soulful, this tune is great. Another with an announcer at the start, this is much more of a straight ahead R&B tune. It’s got some harmonica in the mix. There’s a stripped down section later, too. This number has a lot of psychedelia and progressive rock in the mix. 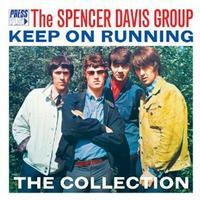 Still, it also has all the Spencer Davis trademarks, too. A mellower tune, this is quite soulful. I’d have to say that it almost sounds like something that would have come from Motown to me. This is a soulful bluesy rocker that’s quite cool. More high energy and really rocking, I love this tune. I’ve never been all that impressed with this bouncy little number. That said, the vocal performance is strong. Ringo Starr’s “No No No Song” has always made me think of this one just a bit. This bouncy little bit of pop psychedelia is definitely influenced by The Beatles. It’s a good piece.